Arizona State Bar disciplinary judge Judge William O'Neil, who has a long history of disbarring and suspending attorneys, which many believe is deliberate political targeting, is finally facing some pushback. A couple of bills were introduced in the state legislature last year and again this year to try and reform the Bar, but the Bar has such deep pockets from charging the second highest dues of any mandatory Bar in the country, that its lobbyists were able to defeat the bills. 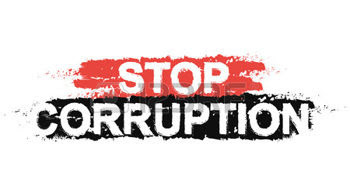 I've written about a lot of the corruption here, and The Arizona Republic has written a long article about Judge O'Neil's history; his former friend Mark Dixon has been trying to hold him accountable for years with no success. 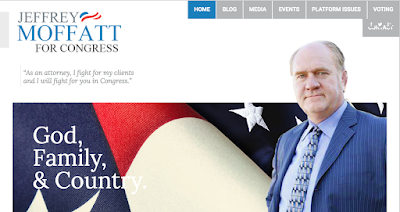 Enter Jeffrey Moffatt, a Republican candidate for Congress in California. He is admitted to several Bars including Arizona's, but he really doesn't practice law here, he practices federal law. He had an uncomfortable exchange with a woman from New Mexico on Facebook - something that really had nothing to do with the practice of law, nor was it a crime, so the Bar should not be getting involved. She reported him to the three state Bars he is a member of: New Mexico, California and Arizona. The New Mexico Bar properly threw out the complaint. The California Bar, when it heard that the Arizona Bar was going to go aggressively after him, said they would wait until the Arizona Bar made its decision. Additionally, Jeff told me that the three-year statute of limitations had passed so O'Neil had no authority any more to pursue this against him! Judge O'Neil promptly disbarred him. This will have a chilling effect on his license to practice federal law, since usually the federal courts just echo the disciplinary decision of the state Bars. He is currently appealing the decision to the Ninth Circuit. Fortunately, Jeff is a fighter. He looked into O'Neil's oath of office, and discovered it listed no real jurisdiction and was never signed by O'Neil. So he filed a Writ of Mandamus to throw out O'Neil's disciplinary decisions against attorneys, based on his oath of office being invalid. Jeff and his wife Star Moffatt, who is running as a Republican for the state senate, believe he was targeted because they are active Republicans. O'Neil is a Democrat. Having talked to many attorneys who have had the book thrown at them by O'Neil, it is frankly alarming how many are Republicans and particularly Republican activists (like myself). One of the few Democrats I've come across who was disbarred thinks she was targeted because she is an outspoken LGBT activist, she believes O'Neil does not like gays. I spoke with Jeff a few days ago, and he has the same wish that I do. We don't want this happening to others. It needs to stop. What the targeting does to your reputation, finances and career is devastating. Which Republican politico attorney will he go after next? Notice he is now brazenly disbarring attorneys from other states, expanding past Arizona. In fact, I've noticed how many Democrats seem to reserve their most vicious attacks for minority Republicans, particularly black Republicans, and if you're a woman on top of that, they really are afraid of the influence you could have. Watch Star in this interview below from a couple of days ago and you will see why they are so threatened by her.